Six figure farming on 1 ½ acres without a tractor? Learn how to maximize profits on small farming plots from one of North America’s most recognized and influential organic growers, Jean-Martin Fortier. Farmers who follow in his footsteps are making farming profitable and fulfilling on even one acre! Jean-Martin blends experience and know-how on optimizing intensive cropping systems by focusing on vibrant soil as the engine that runs the farming operation. 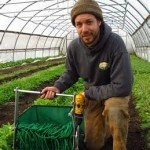 His book The Market Gardener: A Successful Grower’s Handbook for Small-Scale Organic Growing illustrates how to successfully earn a living from selling vegetables through CSA shares (Community Supported Agriculture) and local Farmers Markets. 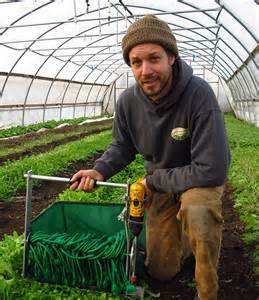 Jean-Martin is passionate about demonstrating how small farms play a most important role in the rebuilding of our food system by growing better-not bigger, by optimizing small organic cropping systems, making them lucrative and resilient. He and his wife Maude-Hélène Desroches live on their organic 10 acre micro-farm Les Jardins de la Grelinette in the very small town of St-Armand, Québec. 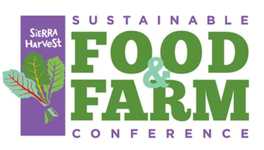 Jean-Martin is presenting at the 2016 Sustainable Food & Farm Conference on January 9th. Read more about Jean-Martin here.